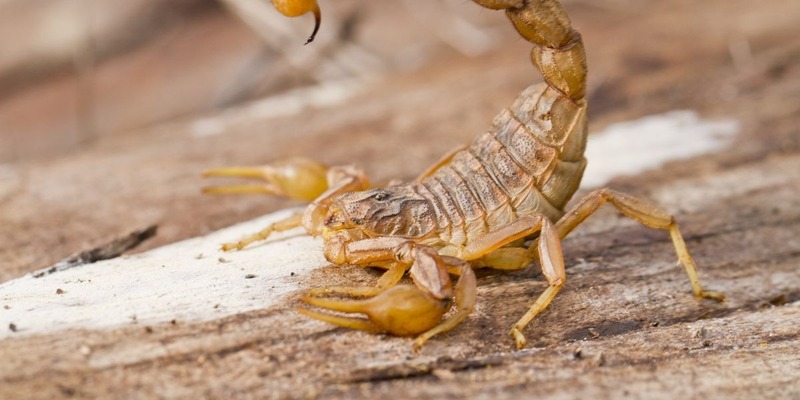 The Scorpio can probably be described as the most mysterious sign of the zodiac and a touch of mystery lies over it. But as a partner a Scorpio is with the best will in the world not suitable for every sign of the zodiac, as can be seen from the detailed description in the Scorpio love horoscope. A Scorpio is quite able to drag his partner into hell and there is no escape anymore. But there are also zodiac signs with which a Scorpio can have a long and happy relationship and these include among others the Cancer or a Virgo. The zodiac sign Scorpio is probably the most mysterious sign of all and gives up many puzzles. But first and foremost, this is due to the people with this sign of the zodiac themselves, because they like to behave mysteriously and also mysteriously. People with this sign of the zodiac have a very strong feeling for the dark and the deep side of the human soul. The Scorpio is an emotional sign and a partnership with a Scorpio is not necessarily easy. Not everyone can cope with this sign and not everyone manages to have a lasting and happy relationship. Which mentality does the zodiac sign Scorpio in the partnership have? It is often said that Scorpio is a loner, but that is totally wrong. This sign of the zodiac is exactly the opposite and has a very deep and sometimes almost compulsive desire for a relationship and partnership. Once a Scorpio has put something in his head, he tries to achieve this with all means at his disposal and he prefers to have his partner with skin and hair for himself. For the Scorpio, it is not only the sense of community or loose partnership that counts in a relationship. If he gets what he wants and loves right, then a Scorpio is a faithful partner, sometimes even beyond death. If you have a partner with the star sign Scorpio, you don't have to complain about a lack of mistrust and this can become a serious problem for every relationship. A Scorpio takes a very long time to get properly involved in a relationship and this is due to his innate mistrust. Once he has made up his mind, however, he defends this partnership to the extreme, sometimes showing an almost ill jealousy. Such a partnership can quickly degenerate and power games, control compulsion and manipulations are then part of the repertoire of the Scorpio. With this a Scorpio can make his partner's life a living hell and only the escape remains. In a relationship with a Scorpio there is always a lot of passion and physical love at play. But Scorpio does not dedicate himself to these things only for pure physical or sensual pleasure. For him it is almost like a mystical act and not every partner can give a Scorpio what it expects. Any partner who is not deterred by a Scorpio can really go through all the ups and downs of love and feel pure passion. With the Cancer, the Scorpio probably finds the most ideal partner at his side. Both will be able to lead a relationship and partnership full of passion and great emotions. For the Scorpio a Cancer is also an ideal partner because he can be absolutely sure that he is faithful and devoted to him. Also a relationship between Scorpio and Virgo has a good chances as well and here a lifelong relationship without major friction is quite possible.